Sony Pictures’ Jumanji: Welcome to the Jungle is still playing in theaters as we write this post, but already the film can be pre-ordered on Blu-ray, Ultra HD (4k) Blu-ray, and Digital HD/UHD. The action comedy starring Dwayne Johnson and Kevin Hart will first be available to purchase in digital formats on March 6, followed by Blu-ray, DVD and rental options on March 20, 2018. 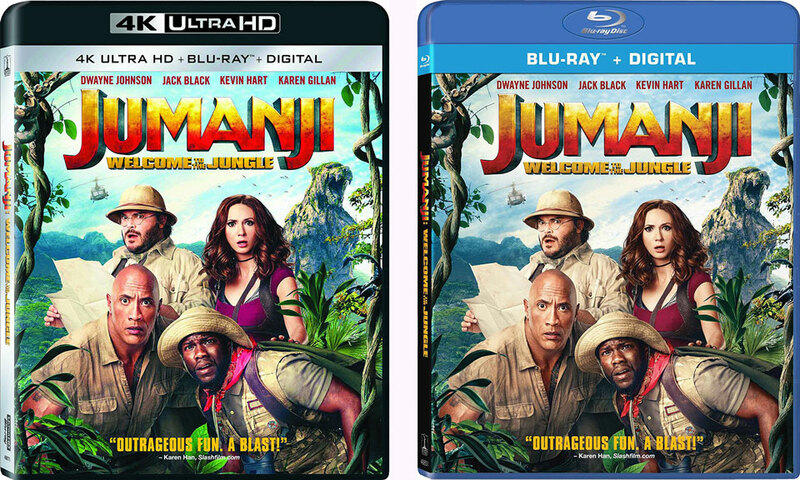 Both Blu-ray combo editions of Jumanji: Welcome to the Jungle come with a predecessor disc (either DVD or Blu-ray) and a digital copy that can be redeemed with Movies Anywhere. Each edition also offers bonus content including a gag reel, music video with Jack Black and Nick Jonas, and five production featurettes. Previous Previous post: Is the Nintendo Switch Too Reliant on Ports?